Do you have more backlinks than your competitors but you’re still not able to outrank them? Did you spend a lot of money on your website but it just doesn’t move? Have you built a lot of backlinks but nothing happens? If you answered yes to any of those questions your site might be penalized! When we analyze websites, we always look at three things: your site as a whole, your content and your backlinks. Most business owners with a professional presence don’t deal with this issue after all your website is your business card, so I expect your content to be stellar. It’s a different story for affiliate marketers that often start with a small budget, and try to save some money on content. Foreign affiliate marketers that target the US may have a hard time judging the quality, especially when it comes to grammar and spelling issues. When a visitor ends up on a website with low-quality content, he/she won’t trust it and click the back button. Going back increases your bounce rate and as such you might have a hard time maintaining your rankings, or you might never even reach the first page at all. Ask someone to review your site, preferably not a friend as they might not want to hurt your feelings, because they think you are proud of your site. Hiring a writer to look at your site might also not be the best option as they probably want to sell you more content, even if there’s nothing wrong with it. What you can do instead is run the content through Grammarly, same like I’m doing right now. If the content scores below 70% it’s quite likely that you hired a writer that’s not from the country you are targetting or perhaps a poor writer that didn’t put much time into it. You built a site or hired someone to do it for you, you published content on your website, and you wait! Three months later you are still waiting and wondering why you don’t receive any traffic from the search engines. You give it another three months, and half a year later there is still no traffic, so you read up on the internet about how to improve your rankings. The so-called experts are telling you that you have to insert your keyword in your title, URL, H1, H2 all the way up to H6 tag, your alt image tag, the first paragraph, the last, and an overall keyword density of three percent! You do what they taught you, and your rankings become even worse. It’s reasonably safe to say that you caused this yourself, because you listened to someone that doesn’t know what he’s talking about or you might’ve read a blog post that was published six years ago and irrelevant today. Despite the fact that you attracted plenty of links in the meanwhile, your pages are keyword stuffed, and Google decides not to rank you. In this case, the solution is rather simple, deoptimize your pages, remove the endless repetition of the same keywords and only insert them once in your title, H1 tag and the content. Google only needs half a word these days! Have you tried this and your rankings are still not improving within a week or so? Your site might be dealing with multiple issues so keep reading! Duplicate content is a prevalent issue, especially for e-commerce sites/web shops. You might have written unique descriptions for every product however that might not be enough, because each description shows the terms of service, shipping policy and other repetitive information on every single page. Local businesses often deal with those issues as well; they hired an SEO company that said it would be helpful if you added a page for every area, city or district that you target. You did as they said and only replaced the city on each page and the result is a weak ranking site as Google doesn’t like duplicate content. Take an in-depth look at your site and be honest with yourself. Don’t think this 200-word snippet of text that appears on every page won’t hurt you, it does. Unless your page contains 1000+ words of unique content also but that’s probably not the case. Don’t just look at the content from your CMS (content management system), look at it how Google looks at it. You can do this by going to Google.com and search for site:yoursite.com, visit each result page in Google (don’t click on any of the results as that takes you to your website), and see if you find any odd URL’s that look like https://www.yoursite.com/inner-page?search=high&price=low. 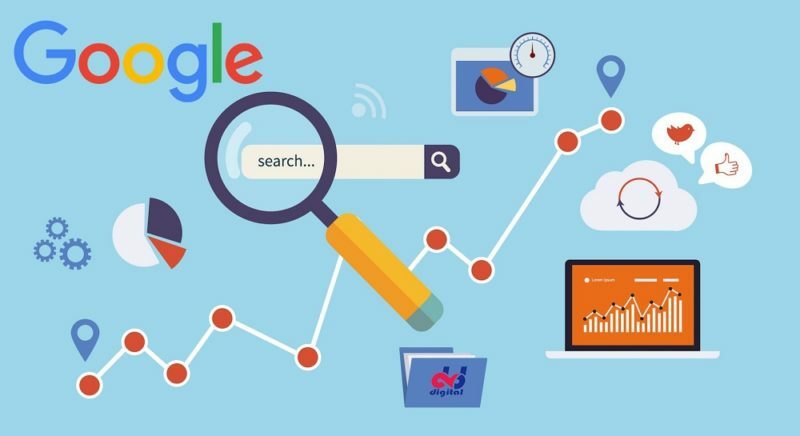 When you see significant amounts of such URL’s in the Google search results, it means that your pages have been created dynamically by your shop, and Google decided to index them as if they were static pages. The only real solution to this is by signing up to Google Webmasters and adding those parameters to prevent Google from indexing them. Inside Webmasters, you will also find a tool to remove those URL’s from the index so that your problem disappears. There are a wide variety of technical problems. Too many to sum them all up here but it isn’t just limited to a slow loading site/page. One setting in WordPress might prevent your site from being indexed by Google at all. There are a significant amount of SEO Audit tools available where you can check your site’s health. However, they come up with such an endless list of things that often aren’t even worth it to fix. In the end, you won’t even know what’s left or right. The best part, our audits are 100% free and come with a list of actions that you can probably fix yourself if you know a few things about websites. We talked about over optimized content while under optimization is just as important. I’ve personally ranked hundreds of sites, and you wouldn’t believe the kind of issues I ran into! A client wanted to rank for ‘plumber San Diego’ but nowhere did he mention that he’s located in San Diego, it becomes somewhat difficult for Google to know what your site is about if you don’t tell them! Rather easy, make sure you mention the keywords you like to rank for once in the title, once in your heading (H1 tag), and at least once in the body of the content. As previously said, Google only needs half a word, but that doesn’t mean you can cut the phrase you want to rank for in the middle and leave the other half out entirely! Do you offer a broad range of services that don’t match all that well, or do you have a website that provides a wide variety of products? Perhaps you own a magazine site or a blog, and talk about whatever you think your visitors appreciate. That is great of course, but there is a thing called topical relevance. A common mistake most people make is having so much content, that’s not appropriately categorized, so Google has a tough time figuring out what your site is about. Step one: sort it by category, not based on price, size, length or weight, but categorized per topic. Step two: look at the length of your content, if you have one hundred products in the same category and each product comes with a 50-word description you have a problem. Sometimes it’s better to combine all those products on one page. I understand that’s not always possible when you run a webshop but in that case, we can consider no-indexing those pages and combine it all on one page that links to your shop pages cause each page individually will never rank in Google. Step three and this mostly applies to magazines and blogs is to set up a silo structure, this way you prevent entire different categories linking to each other. Feel free to reach out if you need help with this. In case you don’t know what anchor text means, this is the text in your backlinks. Backlinks are the number one ranking factor in Google, and the easiest way to manipulate Google is by inserting your keywords in the anchor/link text, many people have done this because it works so well. However, in early 2012 Google launched their first Penguin update, which focused solely on over-optimized anchor texts and they’ve had five full years to refine that. It entirely depends on how severe the problem is. If you have 1000 links pointing at your site, all with over-optimized anchors you may want to move your site to a new domain name. Yes, I’m not playing around, the real solution is to dilute your anchor texts. The experts agree today that your anchor profile should consist mostly of brand anchors, e.g., your URL or your site name, and the anchor texts with the keywords you want to rank for should be limited to 10%. So imagine you have one thousand links that include the phrase ‘plumber San Diego,’ good luck building ten thousand links to dilute that. It’s an impossible job so if you deal with this problem, and likely you do, you might want to inform what your options are, we’re glad to help you with that as well. We’ve had so many people come to us who were rather surprised that their site didn’t rank, after all the effort they put into it. A one minute look at their backlink profile revealed that the majority of links were no-follow. In case you don’t know, no-follow means that Google ignores those links altogether!!! We use Majestic SEO to look at the strength of a backlink profile, and in just as many other cases we saw an incredible lack of power. However most, people use Moz’s Open Site Explorer, which comes with its metric called Domain Authority (DA). The metric DA takes no-follow links into account, while Google completely ignores those links. That’s the problem right there! You might not be willing to spend $50-$100/month only to take a quick look at your backlink profile, something that takes us just five seconds. So if you think the strength of your links might be an issue we’re more than willing to take a look at it, and no we won’t charge you a penny for that. Once you know that your backlink profile is rather weak, we do offer services to increase the strength of your website. As a matter of fact, our whole business is centered around acquiring powerful links for our client base. Google is all about relevancy. If there were no relevancy, they wouldn’t be able to show you the most relevant results when you search for something. The same applies to your backlinks of course. If they only come from irrelevant sources, and unrelated pages you are not going to rank! We already told you that Google ignores no-follow links. So if you’re commenting on other peoples blogs, posting on Facebook, and participating in forums, and it isn’t paying off its cause of that. How about web directories and local citations? Those aren’t much better really, most of them already made the switch to no-follow and Google knows how easy it is to acquire those links, so they don’t give much weight to those links, if at all. You’re not the only site they are linking to, they link out to tens of millions of websites. Finding a good web directory today is like finding a needle in a hay pile. I’m not saying those links hurt you, but they definitely won’t help you much either. Considering our business is based on selling links I will try not to pitch our service here but offer you some options instead, and if you want us to take care of it, we can. A guest post is a post on someone else’s website, and the easiest way to get links from such posts is by merely offering sites relevant to yours if they want to publish it. Now before you say who would accept that, well there are plenty of websites that do. The biggest mistake most people make when reaching out for guest posts is that they have no idea what the post should be about. Well, that’s your job, don’t ask the site to reach out to come up with ideas. You have to convince them instead so make sure you brainstorm some topics before you reach out. Another mistake many people make is reaching out to their direct competitors, small chance that if you sell lawn mowers that your competitor wants your buyers-guide on lawn mowers with a link to your site where you sell those mowers. Don’t expect guest post outreach to be an easy process though. First you need to reach out, then you need to write a post, wait for them to post it (sometimes that never happens). Some will even no-follow your link, and there’s nothing you can do about that, besides bribing them perhaps or moving on with your business. How many people accept a guest post? Based on our statistics it takes on average two hundred emails to land one guest post. Holy Moses, yes and with that comes the risk of them no-following the link. However, we use tools, and you can use these as well. The first one is called Scrapebox which allows you to scrape the search engine results for your desired keywords. The next tool is called Email Extractor Pro, here you load the results you scraped, and it will scrape the email addresses from those sites. Those tools take their time, especially the email extractor so you probably have to run it for a few days to get a thousand emails. Don’t worry about that though, the tool runs fine in the background, and you can mind your own business. In this case, you can find sites that are already linking to your competitor and ask them to link to you as well. Resource pages are very suitable for that, if they already link to your competitor why wouldn’t they link to you, and there’s no sarcasm in that. However, people often do expect an incentive. The least many expect is a compensation for their time, and I’m not talking about money here although that would be somewhat tempting. But if you sell flowers it would be a great idea to send them a bouquet of flowers! If you sell lawn mowers sending them one is not much of an option of course, and sending them grass seeds would look rather cheap. In that case, you could perhaps offer them another tool or accessory for their garden or an Amazon voucher would probably also be very appreciated! There are tons of ways to land relevant links for your website, but I chose those two as every website is suitable to land those links. In this post we didn’t discuss just some of the issues people deal with when it concerns their website, we covered every problem that’s out there to give you a full overview of what could be wrong with your site. We understand some things might sound a little complicated or simply too time-consuming for you, but these are things we deal with on a daily base, and in most cases, it only takes us 5-10 minutes to pinpoint the exact problems your site deals with. So there’s no need to be shy requesting us to perform an audit of your site, even if you have already decided not to use our services. Five to ten minutes is not much really, and there’s a fair percentage of people that do take us up on our services so, in the end, everyone’s happy, and that’s how it should be! I think that sums it up pretty much, and if you need help, we are here for you, simply contact us at support@contenthourlies.com, and don’t forget to include a link to your website of course! Dennis, the founder of Content Hourlies, has been into SEO for over ten years, and boy did he mess up in the beginning. However, the result of all his failures is an unimaginable wealth of knowledge, and if you ask him yourself he would say: “Google is the greatest teacher of all times!”. Ps: If you don’t like this article or feel it didn’t help you in any way we’d love to hear from you as well, and we’ll even throw in a free link, relevant to your niche, to compensate you for your time!